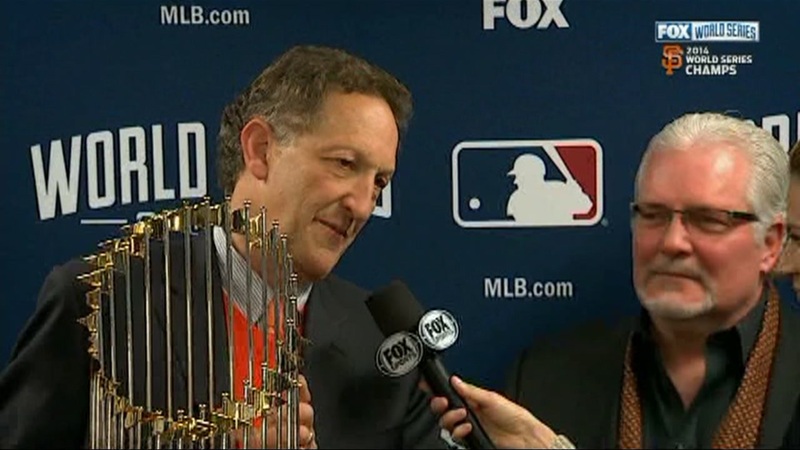 SAN FRANCISCO (KGO) -- The San Francisco District Attorney is not filing charges against Giants CEO, Larry Baer, following a physical altercation with his wife. It's been more than two weeks since video of Baer went viral. In the video, Baer appears to pull his wife to the ground, while attempting to take a phone out of her hand at a park in San Francisco. On Tuesday, after the District Attorney decided against pressing charges, Baer's attorney released a statement, which says: "That is clearly the right decision based on the evidence, and we appreciate the thorough and professional investigation conducted by the police department and the district attorney." "It's wrong. It's awful, but lawful," said Kathy Black, the executive director La Casa de las Madres. "The fact that he was not charged, does not make this less serious," said Andrea Shorter with the SF Commission on the Status of Women. Shorter and Black are advocates for victims of domestic violence. They never expected Baer to be charged with a crime, but say there does need to be a consequence for his actions. "He's a leader, so I think we have to expect more," said Black. Black and Shorter are part of a coalition, which sent a letter to Major League Baseball, demanding that Baer be reprimanded in accordance with the league's policy with a public statement, suspension, fine and treatment plan. "This is about the bigger picture in terms of what the MLB can do and should do," said Shorter. Mayor London Breed's feelings are in line with the coalition. After learning of the D.A. 's decision, she stood by a statement she gave Monday. "There has to be consequences for behavior that is not appropriate towards women." After the incident, in a written statement, Baer did apologize for the pain the incident brought to his wife, Pam, their children and the Giants organization. Baer is on an indefinite leave of absence from The Giants. When asked for a statement Tuesday about the D.A. 's decision, the Giants said, "we are holding off commenting until the Commissioner's review is completed.